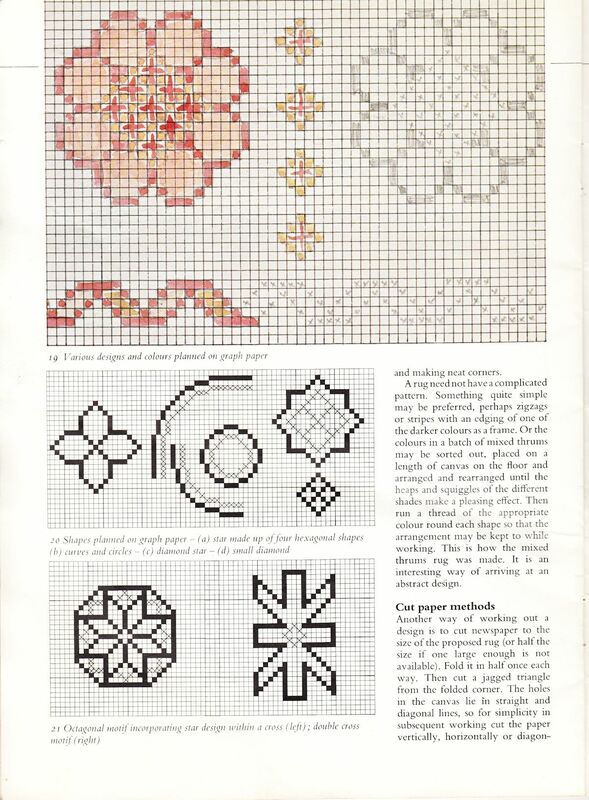 This book was published by the Women's Institute in 1979 as a part of their "WI Home Skills." 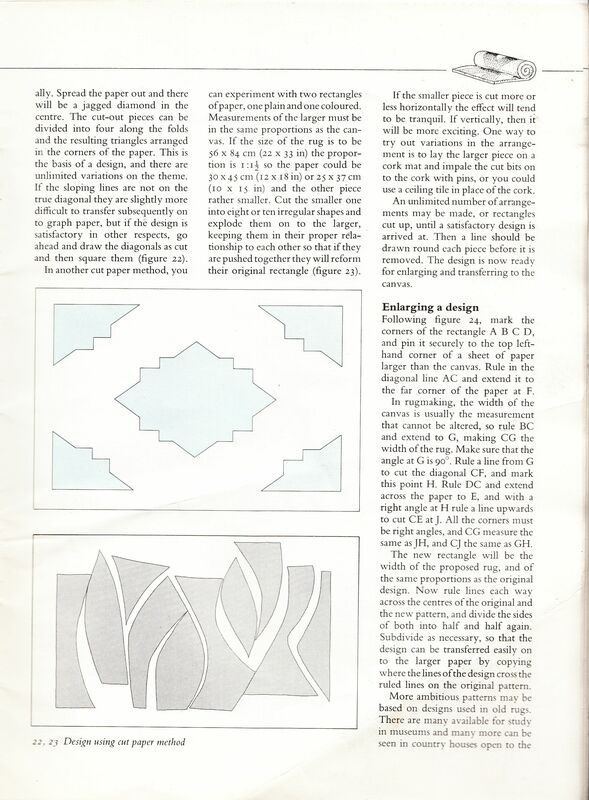 As well as these pages of instructions for latch-hooking and designing rugs, it covered other methods of making stitched rugs, such as rya, Surrey stitch and rice stitch. 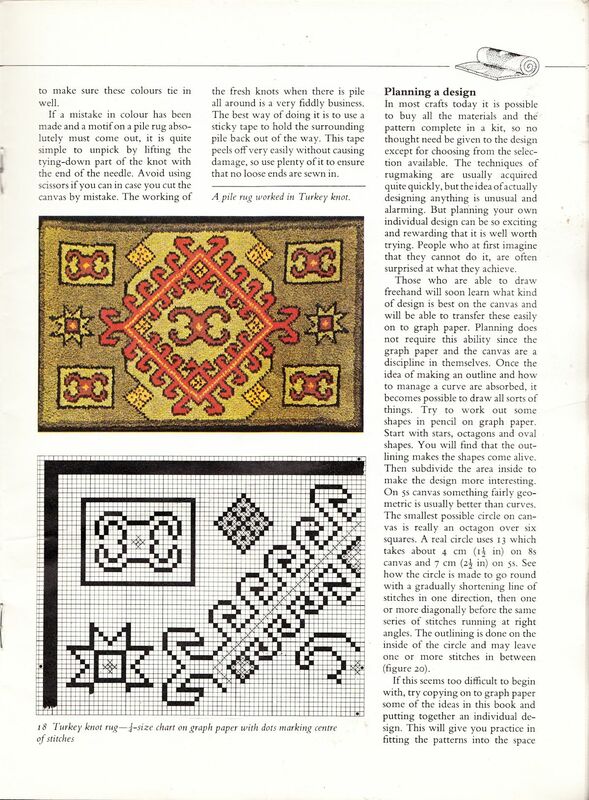 The instructions on rya recommended rows of cross stitch between the hooked rows. This overcame the problem of getting rya canvas. Women's Institutes (WI) are community-based organisations for women. They were started in 1897 in Ontario, Canada, by wives of members of the Farmers' Institutes. The British WI movement was formed in 1915 and originally aimed to revitalise rural communities and encourage women to become more involved in producing food during the First World War. 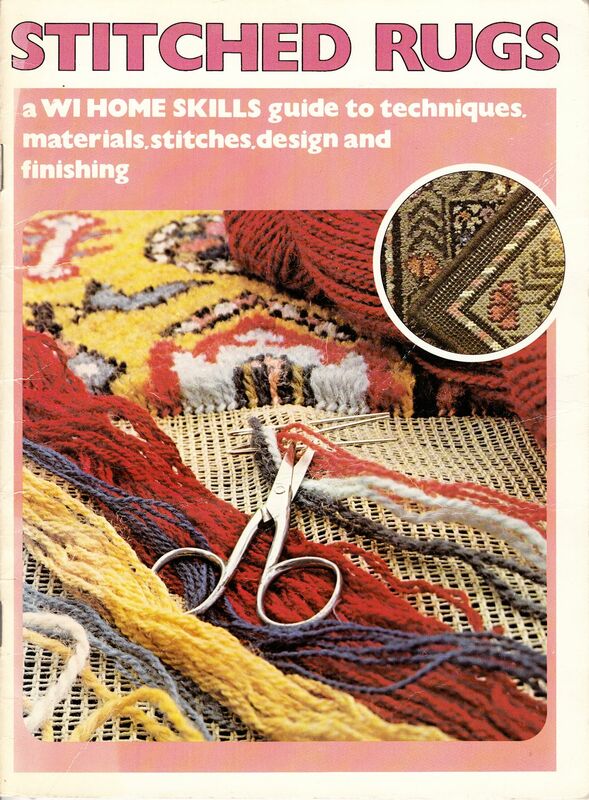 Their Home Skills series covered domestic skills (cookery, entertining), preserving (jams, chutneys), traditional rural crafts (such as corn dollies, basketry), and home crafts ranging from upholstery and soft furnishings to rug-making. During the 1920s, the WI movement encouraged women to take their part in public life, and to fight to improve the conditions of rural life. They adopted the hymn "Jerusalem" as an unofficial anthem as it reflected their own "fight". Home-prepared foods, self-sufficiency and recycling have always been important aspects of the WI. Many WIs run their own markets and/or fetes (or at least have stalls at local fetes and farmer's markets). As a result, the WI is often summarised as "all Jam and Jerusalem." It is often viewed as being mainly white, Christian and middle-class, but modern-day WIs are springing up in more urban and suburban communities and are open to women of all ethnicities and faiths.